Small pox, Tuberculosis, Diphtheria, Mumps, Measles, Cholera, Scarlet fever, hookworm… in 1903 the list of contagious diseases was seemingly endless. These diseases prompted New Jersey to adopt legislation mandating school boards to hire doctors with the objective of assuring all students would receive a physical exam – nurses were subsequently hired to “assist” with this task. In short time, “school” nurses assumed this responsibility and furthermore enhanced student health by providing parent education regarding disease prevention. In the subsequent decades, school nurses would gather to share strategies in providing care to school students and interacting with school boards. These meetings evolved and formalized resulting in the New Jersey State School Nurses Association (NJSSNA) which officially incorporated February 19, 1938. The goal of NJSSNA was to improve the profession of school nursing via providing information to its members, the educational community and stakeholders, and collaborating with legislators and school boards to develop legislation and regulations to support student health thereby positively impacting student academic success. NJSSNA sought to ascertain school nurses were adequately educated thereby assuring appropriate and consistent care of school children. In 1947, certification to practice school nursing was required. 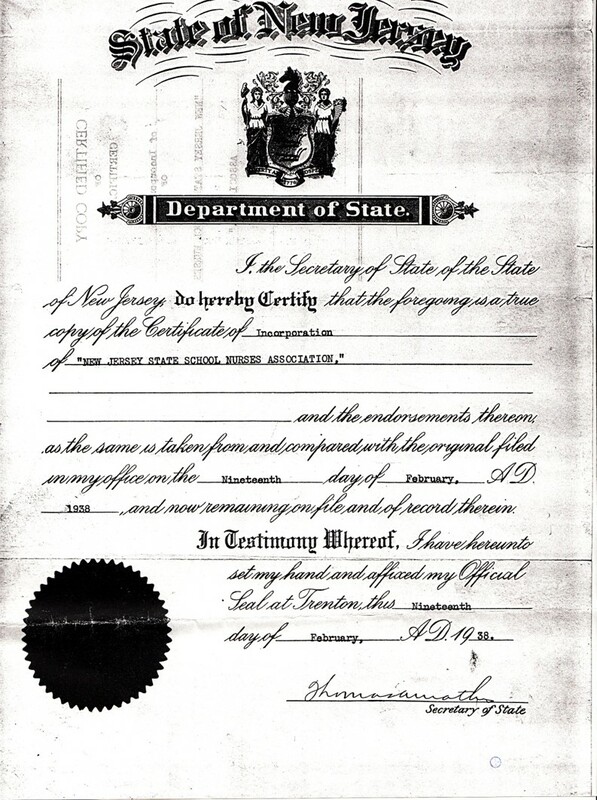 Subsequently, in 1972, NJ legislation was adopted which required baccalaureate preparation in addition to certification to practice school nursing. NJSSNA also offers their members an annual educational conference in which topics are highlighted reflecting current issues affecting children’s health. NJSSNA recognized the value of having a larger voice to compel the New Jersey Board of Education and legislators in addressing healthcare issues that influence academic outcomes. It was during this timeframe, NJSSNA established a formal relationship with the New Jersey Education Association (NJEA). To date NJSSNA and NJEA continue to partner and support one another regarding legislative and regulatory issues which impact student health and learning. From inception of the NJ school nurse role, the school nurse provided advocacy for all school children. Armed with medical knowledge and skill in addition to understanding the educational system, the school nurse is the medical expert in the school setting. 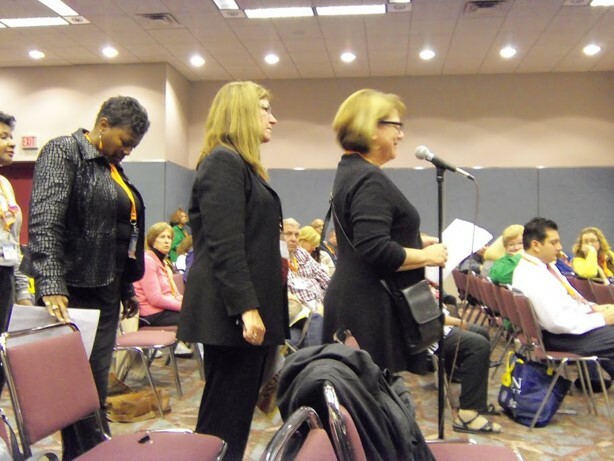 Over the years, NJ certified school nurses have ardently mobilized to support or rebut legislative bills or regulations by providing oral and written testimony to the NJ legislature and/or New Jersey Board of Education. It is from the efforts of the NJSSNA, students with health challenges such as diabetes, life-threatening allergies, and asthma are in school, safe, healthy and ready to learn. NJSSNA continued to improve our resources for our members as well as widen our scope to support all school children throughout the US. In doing so, NJSSNA affiliated with the National Association of School Nurses in 2011. Today, NJSSNA supports the NURSE Act, federal legislation that will bring funding to provide for school nurses in impoverished areas of the United States, recognizing all children deserve the opportunity to have their healthcare needs met while they attend school. NJSSNA recognizes the power of partnerships and joined forces with the New Jersey Department of Health and The New Jersey Collaborating Center for Nursing to create an online resource for the NJ certified school nurse. Promoting Health and Learning: School Nursing Practice in New Jersey’s Public Schools (NJSSNA, 2018) was authored by practicing NJ certified school nurses. This document houses statutes, regulations, and professional practice directives from organizations such as the Center for Disease Control and the National Association of School Nurses, that promote excellence in school nursing practice. NJSSNA will continue to be a trailblazer, setting the bar high in providing school health services. Today’s children face an array of challenges not seen in the distant past. NJSSNA provides its membership with education and resources, ensuring its members are better equipped to address the social, emotional and physical complexities of school children today. Coauthor Janine Barzdines, RN, BSN, NJ-CSN. Thank you to Jeanne Kiefner, MEd, RN, FNASN and Judith Woop, MEd, RN NJ-CSN for your assistance in creating this blog post. Thank you for the historic perspectives on the history of school nurses in NJ. NJSSNA is certainly a force for student health and school nurse advocacy in NJ. 80 years of history is certainly impressive.